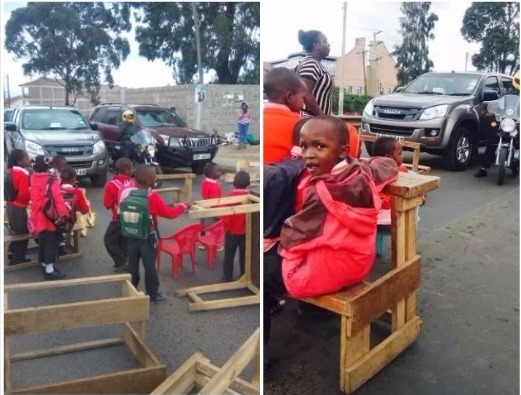 Pupils from Kenyatta Golf Course Academy have blocked a section of Mbagathi road protesting the demolition of their school. 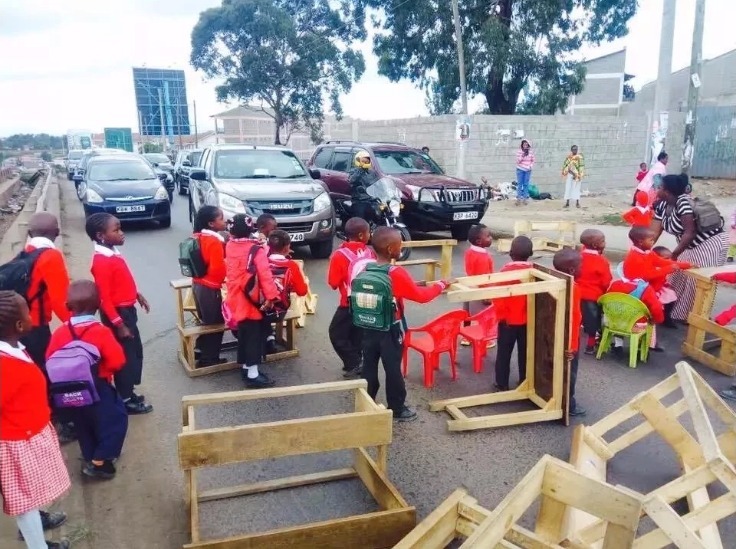 TUKO has learnt that the Kenyatta Golf Course Academy pupils were demonstrating with their school desks bringing traffic to a halt. 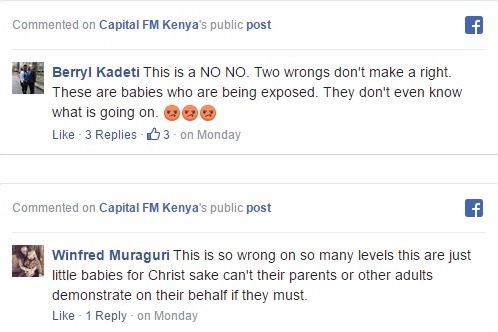 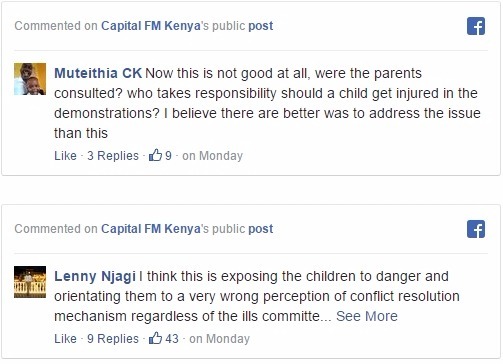 Africans on social media reacted following the news castigating the school administration for using the children in the protest. 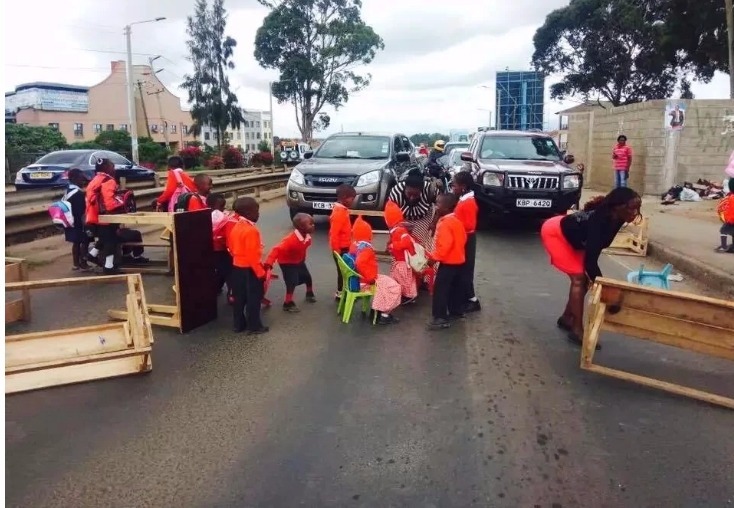 Others questioned whether the parents were consulted before exposing the children to danger on the busy road.